Ultimate Fighting Championship (UFC) superstar Conor McGregor made a big splash last night (Fri., Mar. 17, 2017) when he announced his boxing takeover in front of countless reporters inside Madison Square Garden in New York City. McGregor was there to support Irish boxer Michael Conlan but took the opportunity to slap the boxing world in the face. Luckily enough, LA Times was able to catch up with McGregor as he was exiting MSG and got a little more information about his impending superfight with boxing legend Floyd Mayweather Jr.
“[September] is what I’m thinking. That’s what the word is. That’s what we’re close to doing,” said McGregor when asked about a potential date for his boxing debut. This goes against Mayweather’s wish of a fight in June, but coincides with McGregor’s current paternity leave from UFC. If his son is born before April’s end, that will give “Notorious” roughly four months to train for the best boxer in the world. That may not seem like a long time, but the UFC king believes he’s ready. 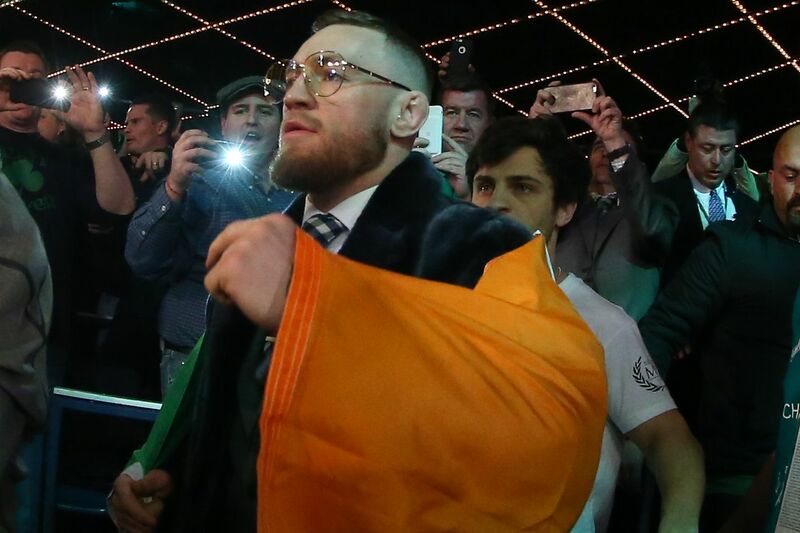 There’s no disputing the unwavering likelihood that Mayweather busts McGregor up and makes him look like an amateur inside of the boxing ring, but it’s eerie to see how confident the Irishman remains. He’s obviously going to put on a show to promote the fight, but this is taking it to an entirely new level. Stick with Mania as more news pertaining to McGregor vs. Mayweather is revealed. Is it True, Did Conor McGregor Just Retire?